Parents and fans watch during the girls state high school bowling tournament at Plano Super Bowl in Plano on Saturday, March 28, 2009. Although the sport is not UIL-sponsored, college recruiters looked for the best bowlers to accommodate Title IX requirements. Please read the State Championship Tournament results. People named in this slideshow include Sierra Gibbons and Jessica McCusker. Coppell battles against Allen during a high school soccer playoff game at J.J. Pearce High School in Richardson on Friday, March 27, 2009. Coppell won the game, then defeated the No.1 nationally-ranked San Antonio Reagan team and eventually won the 5A state soccer championship. Please read "Challenging road ahead for Coppell girls soccer team" by Randy Jennings / The Dallas Morning News. People named in this slideshow include: Lindsey Meyer, Emily Johnson, Andi Reagan, Chioma Ubogagu, Alyssa Diggs, James Nyawera, Tracey Smith, Kayla Keating, Allison Guderian, Katie Pence and Bailey Calton. 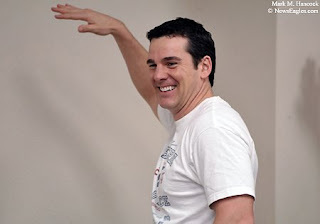 T. Laster of Choice Training in Plano teaches a free kickboxing exercise class in The Village Shops at Castle Hills in Lewisville on Saturday, March 14, 2009. Faith Hugo of Plano (bottom) participates in a free kickboxing exercise class in The Village Shops at Castle Hills. The event kicked off the "Spring Into Health and Fitness" program. 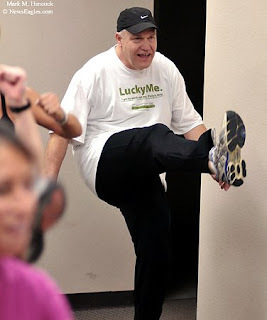 Jim Roskopf of Plano participates in a free kickboxing exercise class in The Village Shops at Castle Hills. The classes are held in the center's park when weather allows. Otherwise, the classes are held indoors. Elizabeth Villalba of Lewisville (center) looks for help during a free kickboxing exercise class in The Village Shops at Castle Hills. Sharon McCallum of Lewisville (bottom) leads a free Zumba exercise class in The Village Shops at Castle Hills in Lewisville. Elizabeth Villalba of Lewisville (center) learns steps during a free Zumba exercise class in The Village Shops at Castle Hills in Lewisville. 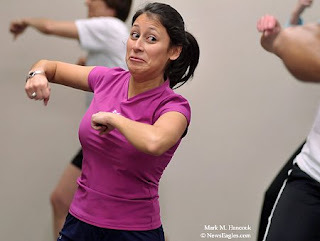 Michael Ocando of Lewisville learns dance moves during a free Zumba exercise class in The Village Shops at Castle Hills. Sharon McCallum of Lewisville (center) leads a free Zumba exercise class in The Village Shops at Castle Hills in Lewisville. Parishoner worship during the Easter Vigil at the Cathedral Shrine of the Virgin of Guadalupe in Dallas on Saturday, April 11, 2009. Dallas Diocese Bishop Kevin Farrell was joined by his brother Bishop Brian Farrell, a Vatican staff member, for the annual celebration. People named in this slideshow include: Bishop Brian Farrell, Bishop Kevin J. Farrell, Father Eduardo Gonzalez, Yahaira Calderon and Michelle Calderon. 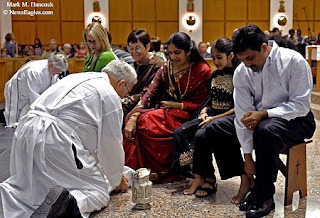 Father Jerry Duesman (left) washes Sarmma Regi's foot (center) as Shilpa Regi watches and John Regi puts on his shoe during Holy Thursday Services at the Holy Family of Nazareth church in Irving on Thursday, April 9, 2009. Father Jerry Duesman (left) prepares to wash Meghan McKinney's foot (right) during Holy Thursday Services. 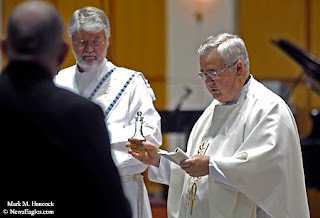 Deacon Ron Morgan (left) observes as Father Jerry Duesman (right) explains the blessed oils presented during Holy Thursday Services. 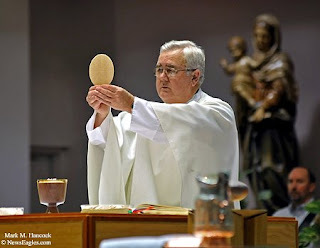 Father Jerry Duesman blesses the bread during Holy Thursday Services at the Holy Family of Nazareth church in Irving. 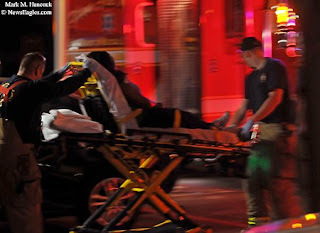 Emergency workers welcome Easter by moving a woman to an awaiting ambulance in Plano on Sunday, April 12, 2009. Police arrived first at the scene. I have no idea what happened, but a Plano police officer ran past my balcony with what appeared to be a drawn weapon. So, I grabbed my camera and waited. Then the firefighters showed up and helped a woman into an awaiting ambulance. No matter the circumstances, it's not the best way for anyone to start Easter. I wish everyone a happy, healthy and calm Easter. 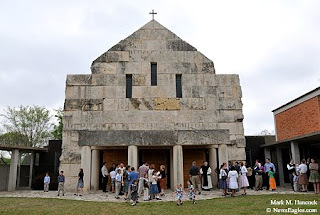 Parishioners gather outside the Cistercian Abbey before a French mass in Irving on Sunday, March 22, 2009. 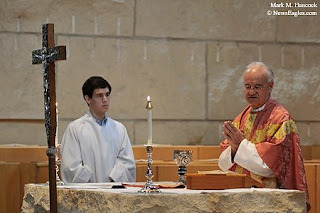 Cistercian Preparatory School junior Arnaud Zimmern (left) listens as Father Bernard Marton presents a French mass at Cistercian Abbey in Irving. 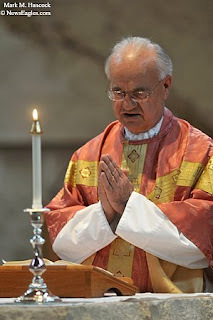 Father Bernard Marton of the Cistercian Order presents a French mass at Cistercian Abbey. 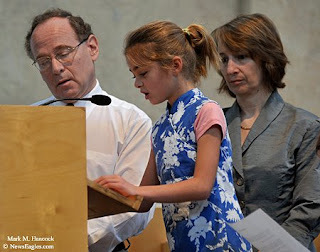 Diane Sion, 7, (center) reads the Universal Prayer in French as Philippe Zimmern (left) and Glorence Dufrasnes (right) listen during a French mass at Cistercian Abbey. 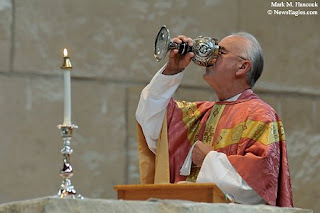 Father Bernard Marton drinks wine during a French mass at Cistercian Abbey. 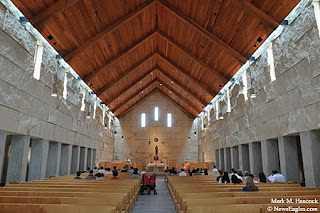 Parishioners attend a French mass at Cistercian Abbey in Irving. Monica Maliskas leads an annual 12-hour Cycle For a Cure marathon for juvenile diabetes research at the Frisco Athletic Center in Frisco on Saturday, Feb. 28, 2009. She cycled all 12 hours for her son. 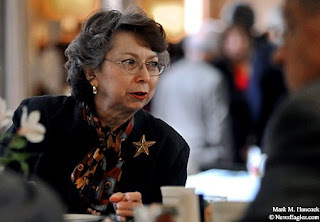 Her son Ethan Maliskas was diagnosed with juvenile diabetes at age 2. 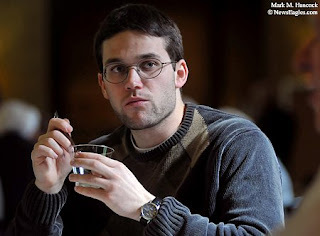 People named in this slideshow include: Monica Maliskas, David Linson, Scott Levine, Susette Hill, James Archer, Wendy Shelley, Ethan Maliskas and Aiden Maliskas. 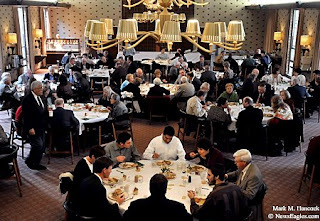 Serrans and seminarians dine during the annual Vocation Awareness Program (VAP) Kickoff Brunch at Holy Trinity Seminary in Irving on Saturday, March 28, 2009. 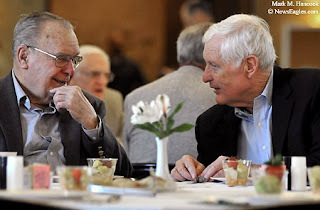 Bill Higgins of Richardson (left) and Bob Baillargeon of Plano (right) share stories during the annual Vocation Awareness Program (VAP) Kickoff Brunch at Holy Trinity Seminary. Ann Lerner of Dallas visits with guests during the annual Vocation Awareness Program (VAP) Kickoff Brunch in Irving. Seminarian Michael Greco listens to Serran visitors during the annual Vocation Awareness Program (VAP) Kickoff Brunch at Holy Trinity Seminary. Father Michael Olson, Rector of the Holy Trinity Center (left) talks with guests during the annual Vocation Awareness Program (VAP) Kickoff Brunch at Holy Trinity Seminary in Irving. 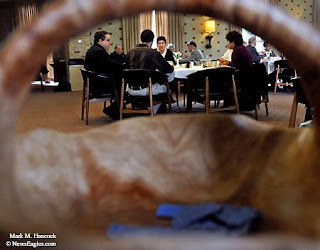 Tickets were drawn from a carved wooden basket for raffle prizes during the event. Alter servers help Father Antonio Ortiz during mass at St. Edward Catholic Church in Dallas on Sunday, March 15, 2009. The alter servers work with the priests to make services run smoothly. People named in this slideshow include: Alan Garcia, Jesus Martinez, Liliana Ayala, Omar Ayala, Father Antonio Ortiz, Kevin Rodriguez, Melanie Porras and Liz Magallanes. Please see the YouTube version of this slideshow featuring original church organ music composed through GarageBand by Mark M. Hancock. Families participate in a Knights of Columbus Special Needs Bowling League match at AMF Irving Lanes in Irving on Saturday, March 7, 2009. 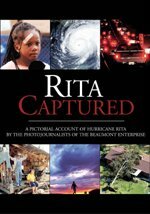 People named in this slideshow include: Amber Mullinax, Dee Mullinax, Lizzett Morales, Bianca Delacruz, Elizabeth Morales, Bill Krabacher, Mitchell Persad, Talieha Persad, Karel Persad, Emma Rose Elizondo and Ignacio Elizondo.